Help the cute fairy take care of a beautiful unicorn and get it ready for a trip through the kingdom! In this magical animal and dress up game, you have to clear out the stable and clean the unicorn. Style its mane and select some awesome riding equipment. Solve a puzzle to unlock an elegant carriage and finally dress up the fairy for the journey. This will surely be an unforgettable adventure! 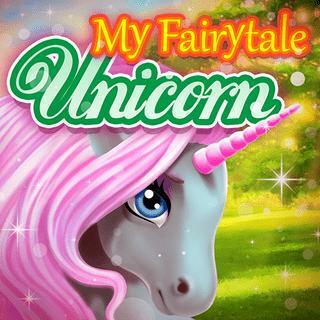 My Fairytale Unicorn - Find My Fairytale Unicorn in our vast HTML5 games catalogue. Only the best and newest HTML5 games for all audiences. Guaranteed success with Famobi.